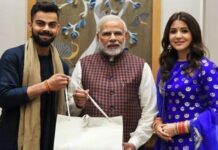 The fitness challenge – #HumFitTohIndiaFit – was started by Information and Broadcasting Minister Rajyavardhan Singh Rathore recently. A number of celebrities like Samatha, Naga Chaitanya, Akhil, Mohanlal, Ram Charan, Jr NTR and others have accepted the fitness Challenge and shared their video on social media Sites. 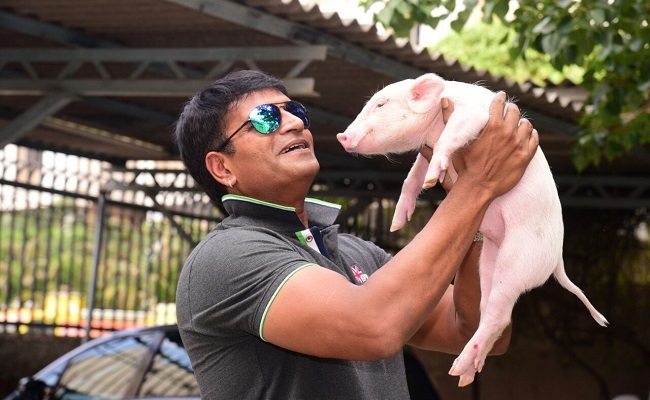 Now the video of ‘Ravi Babu fitness challenge with piglet’ is grabbing several eyeballs.